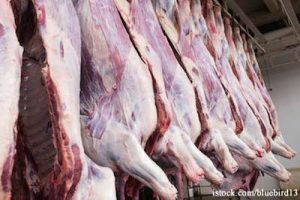 The U.S. Department of Agriculture’s Food Safety and Inspection Service (USDA FSIS) has decided it won’t be adding more names to the 210 page list of retailers involved in the Rancho Feeding Corp beef recall. And it’s issued an explanation of the recall, kind of. In an announcement today, the agency said it has completed all recall checks and determined that the recall has been effective and that no more additions will be made to the retail distribution list. However, because of high interest in the recall, for the time being, the recall information will remain in the “active” section of the agency’s recall website rather than being moved to the archived section. There have been no reports of illness in association with the recall.